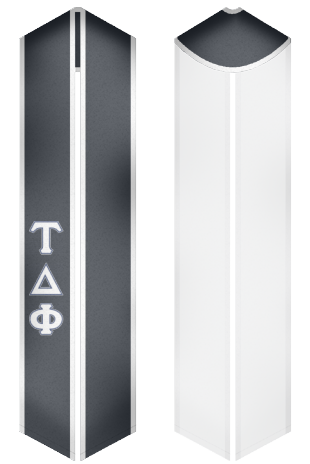 Tau Delta Phi is established in 1910 in New York City. It is a large national social fraternity that counts dozens of active chapters and thousands of members. Tau Delta Phi is known as a fraternity for Jewish men. The colonies and chapters of Tau Delta Phi fraternity are situated in the northeastern part of United States. The fraternity actively grows and constantly increases the number of its members. 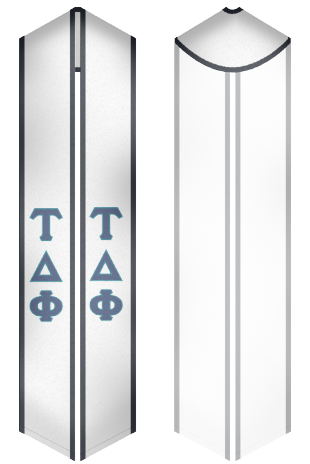 Our online store offers a wide selection of stoles and sashes for graduation and other events, which are organized by Tau Delta Phi fraternity. We offer high quality products at the best prices!